Senate President Bukola Saraki said he had given the police the explanation on his alleged links with the Offa robbery suspects. Saraki said his written response to the Police was in compliance with the demand of the Police that he should put down his response in writing within 48 hours. 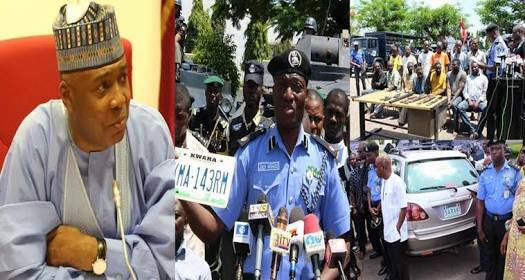 In a tweet yesterday, Saraki said he has complied with the Police demand. Efforts to obtain a copy of the response of the Senate President were not successful. Police sources say now that they have Saraki's response in writing, they will relate it to all the evidence they've gathered and proceed with the case according to the law.